Think Global, Act Local: Have You Met Fred? Let Alexandre Cyusa introduce you to Fred Edwards Jr.: a servant leader with a golden heart and powerful words. Allow me to introduce you to Fred Edwards Jr.: a servant leader with a golden heart and powerful words. I have been fortunate to learn from him and foremost transcend our friendship towards a sense of brotherhood. His insatiable thirst for new knowledge always inspires me to be more curious in life. Fred is a bold motivational speaker, a community leader and an example to many of his peers from Fargo and all the way to his hometown, Minneapolis. Every time he enters a room, you cannot help but be captivated by his contagious smile and his magnetic aura. Confucius once said, “The man who moves a mountain begins by carrying away small stones.” Fred is bettering every community he engages with, one inspirational conversation at a time! I joke and say I’m from where folks in Africa would call “the lost tribe,” a man of slave lineage from both parents and an African-American male. I have nine brothers and sisters and my father is a pastor. I grew up in a predominantly black neighborhood in North Minneapolis. I spent most of my high school years in South Minneapolis where I learned the culture of and what it was like in the lives of Native Americans, Somali Americans and Latino Americans. I had the privilege of being surrounded by black people, my family being predominantly black. Seeing my parents engaged in their culture, I learned what it meant to be black and proud. Fargo is a growing city and the people are so nice here. This place forced me to grow into the person I am. Being surrounded by working people, I hope to start a leadership program in North Fargo and West Fargo. There are so many great leaders here who could help the youth in the local high schools. I hope to venture to other parts of North Dakota and help other kids find leaders in their community to connect with. Fargo has one of the largest One Million Cups in the nation, but imagine if our kids could get the maximum out of life? This next generation in Fargo, with all these different sorts of cultures moving in, I hope to meet with kids of color and with leaders of color. The city wants to see people succeed and it is quite possible. So, how did you get to Fargo? I was gonna play football at a private school in Florida and I wasn’t aware of how house finances worked in college. The tuition at the school was too expensive. Although they would have paid for some of my athletics and I received a few scholarships, I still wouldn’t be able to go to that school. With two months to spare, I had to search for a school that was great but affordable and it had to “have swag” but wasn’t too far away. It was the search that would change my life forever. While everyone was getting ready for college and picking classes, I went to niche.com and searched for everything you need in a college. I came up with NDSU after thousands of searches. I was searching things like school environment, a winning football team, college town and not too far from Minnesota. My first day of orientation was my first day of school and look at me now. Tell us about your college experience? I am currently a senior at NDSU and I’ve completed most of the leadership programs offered at NDSU. I’ve worked at several places inside the Memorial Union and have volunteered as a mentor for many high schools and middle schools throughout North Dakota. 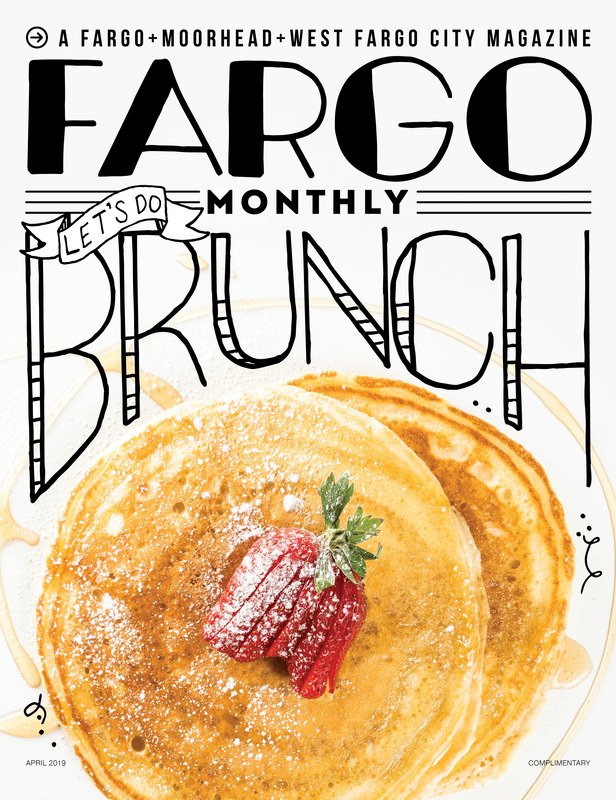 The creative side of me has hosted and planned open mics, art shows and other ways to get the Fargo-Moorhead community exposure. Outside of NDSU, I have helped plan a few concerts here in Fargo. I think there is a lack of sober fun in Fargo and most of the events I have are just that. I’ve been involved in the planing of the first black fraternity at NDSU and have helped get a black student union up and running. Now, I’m just trying to create a culture of leaders and a safe space for people who want to make an impact. Sometimes, we’re told to not get ahead of ourselves, but why not? I’ve got a TED talk, have done some keynote speeches at universities and was recognized as the Sarah Martinsen Outstanding Service Award, all because of trying to go the extra mile. Having faculty and staff, and even local church members, push me to be a better person has made all the difference. Edwards is a public speaker and spoken word artist from North Minneapolis. The things he has seen speak through him with the energy he provides. He is passionate about helping others find their inner greatness and potential. He’s spoken with hundreds of college, high school and middle school students and provides testimonies of stories of struggle and resiliency. With nine brothers and sisters, Fred is the 10th and last child. His mother had a .0001% chance of becoming pregnant after her nine child. Fred was that .0001%.